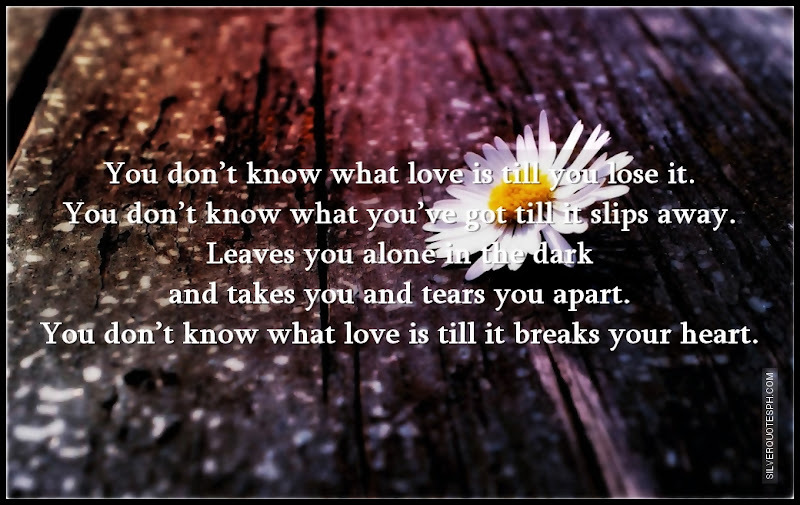 You don’t know what love is till you lose it. You don’t know what you’ve got till it slips away. Leaves you alone in the dark and takes you and tears you apart. You don’t know what love is till it breaks your heart.